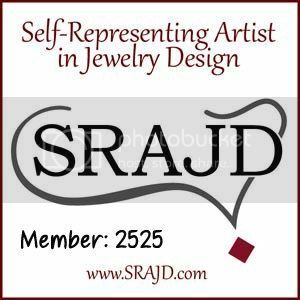 Handmade, handcrafted artisan jewelry using a variety of skills including wire wrapping, chainmaille, beading, fabrication and casting. We design with sterling and argentium silver, gold-fill, Swarovski crystals, hand-crafted lamp work beads, genuine precious and semi-precious gemstones, pearls, glass, polymer clay, ceramic, wood, and more. What frustrates me most about maintaining a website is my lack of control over the host server. Over the past couple of years, MikiCatdesigns.com was hosted by a server that, well, let's just say it wasn't/isn't the most stable server in town. In fact, I don't think they're even in town which is another reason I'm upset. I prefer to keep my business here in the States including support. Whatever, I finally got fed up enough to switch hosts. One week later and my website is still down, the old host still hasn't done what they need to transfer my domain and now I can't even get any email! ARGH! So, if you need to reach me for any reason, you'll just have to send a message through my Artfire Studio or Etsy Shop. The trials and tribulations of website maintenance are ubiquitous so I won't bore you with mine. Suffice to say I'm offering a special, unprecedented 30% OFF every item, except sale items, in both my shops!!! Just convo or write the word WEBWOES in your comments at checkout and I will refund 30% of your purchase! * No double-plugging, plug only sites you own. * No affiliate sites. * Only 88x31 and direct-linkable buttons. * Only G-rated sites! * Contact me if there is any problem.